Singualries is an Event & Entertainment company established in 2016. Entertainment being a part of events, Singularies specialises in Choreography with inhouse experienced choreographers who conceptualise and execute wedding / Sangeet Choreography, Stage performances & shows to make an event evening entertaining & memorable. JP Road, DN Nagar, Andheri (west), Mumbai-53. Singularies Choreography is a choreographer based out of Mumbai . Singularies Choreography 's telephone number is 90229 22181, Singularies Choreography website address is http://www.singularies.in/, Facebook page is Singularies Choreography and address is JP Road, DN Nagar, Andheri (west), Mumbai-53.. 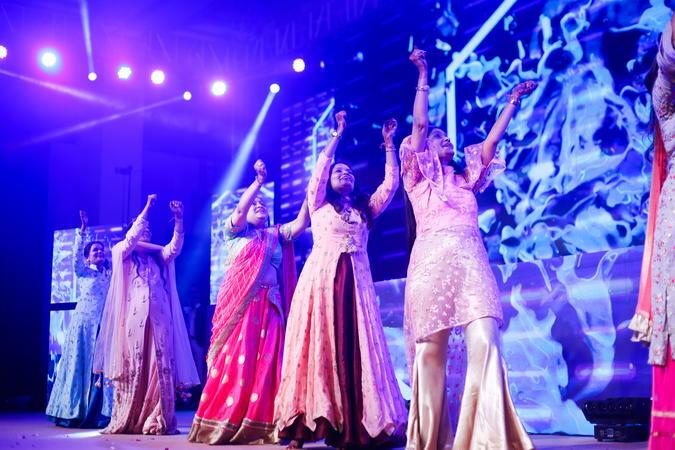 In terms of pricing Singularies Choreography offers various packages starting at Rs 75000/-. There are 0 albums here at Weddingz -- suggest you have a look. Call weddingz.in to book Singularies Choreography at guaranteed prices and with peace of mind.